Purpose : WP Super Cache is one of the top Caching plugins for WordPress CMS. It helps to generates static HTML files from your dynamic PHP scripts. You can speed up your blogs even when there is a lot of traffic. 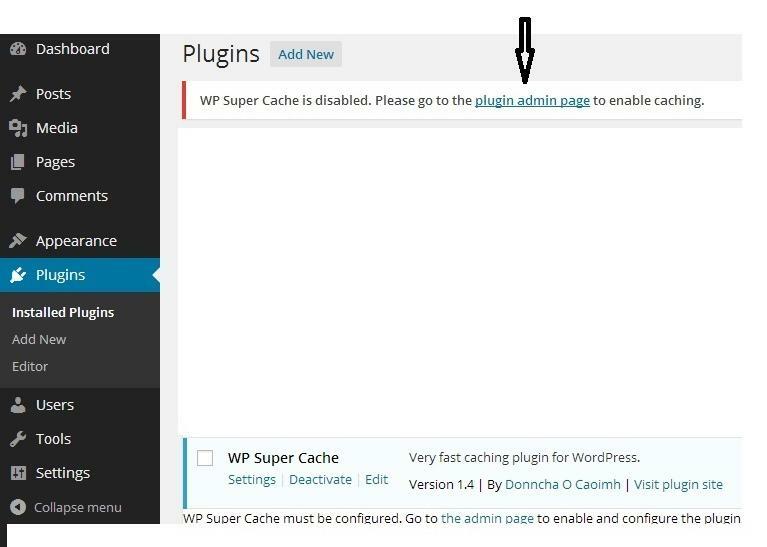 You may follow the below procedure to install and setup the wp-super cache plugin. WP Super Cache requires permalinks to be enabled. 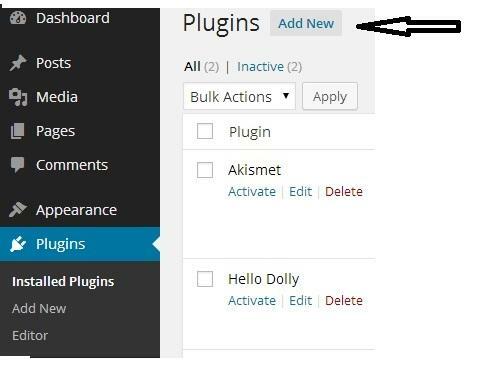 Login to wordpress admin panel, click on permalink. 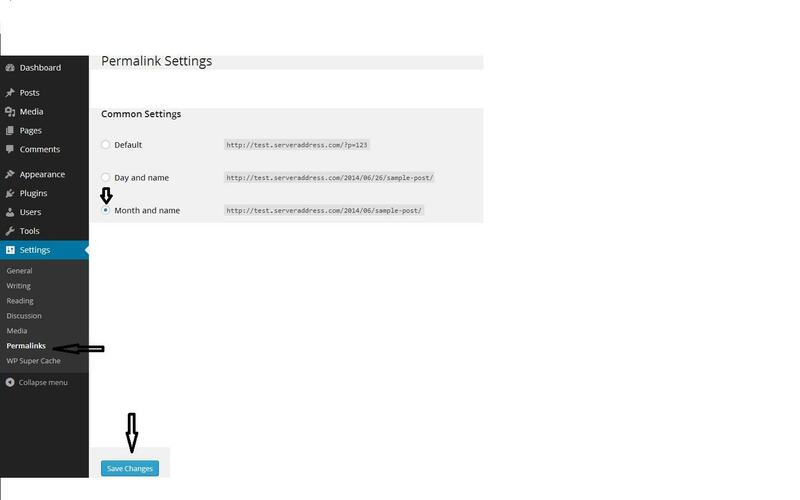 The permalink settings page get loaded and you may click on the radion button corresponds to Month and name and click on save changes. A new windown opens where you can search for the plugin, enter the plugin name in the search box and click on search plugin. 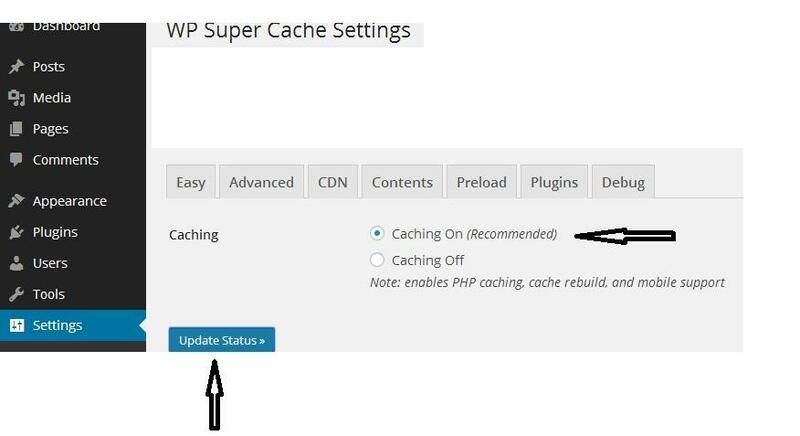 The plugin install page gets loaded, you may click on the install now button under the wp-supercache plugin name. You may click on the Activate plugin link to get the wp-supercache plugin activated. One you activate the plugin, you can see at the top section that wp super cache is disabled. You may click on the ‘plugin admin page’ link to enable caching. A new window opens where you can enable caching. click on the radio button ‘Caching On’ and then Click on ‘Update status’. 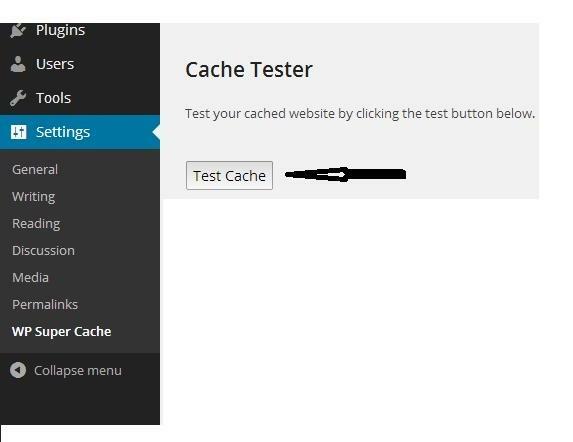 Now you may test the cached website by clicking the test button .